A Very Wonderful Ornament Must Like the Vintage Victorian Bird Glass Ornaments of the Past. 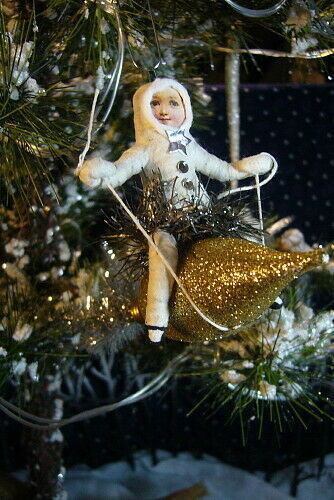 Only Cute Little Spun Cotton Figures Riding a Glass Bubble with Streamers out the Back. They Measure 6 x 3 1/2 inches and are in Perfect Condition. MORE PHOTOS BELOW AND MORE ITEMS .